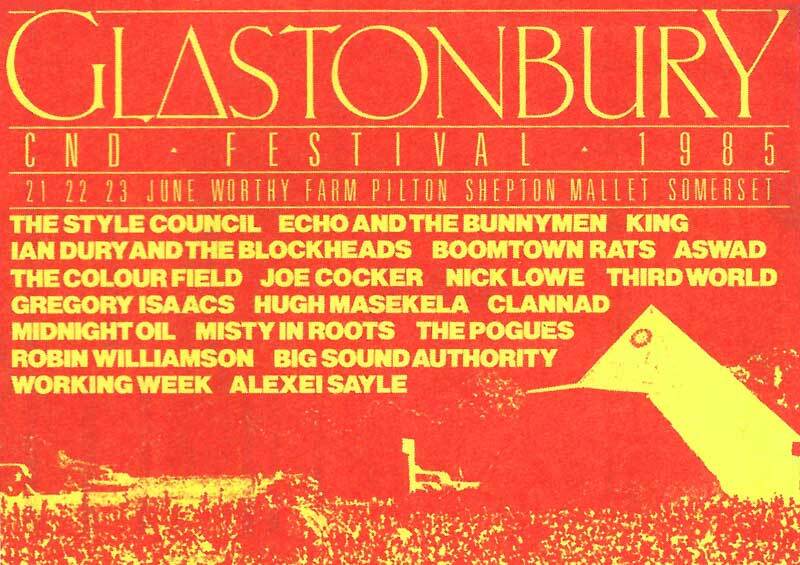 By 1985 Worthy farm was considered too small to accommodate the Festival so the neighbouring Cockmill farm land was purchased to enlarge the site by a further 100 acres. The sheer size of the newly enlarged site meant that communications were stretched to the limit – the ultimate test for any organisation. With tractors the only possible means of towing people off the site in seriously bad weather. Michael Eavis was pleased that, “we have had the mud bath and proved we can still cope with the conditions”. £100,000 was raised for CND and local charities.